Read this Before you Visit Your First Model Home. When shopping for your home, you’ll discover that most homes on the market are resales. One out of four home buyers purchases a new home. Both new homes and re-sales offer advantages. Before you make a decision…COMPARE THESE POINTS! Have already settled, eliminating possible problems that arise from this happening after the purchase of the home. 1. Contact your agent before visiting your first model home. Sit down with your agent and do your homework. You’ll want to be prepared so that you can determine a comfortable price range for your hew home. If you own a home, you’ll first need to know the net proceeds from its sale to determine how much cash you’ll have to work with. 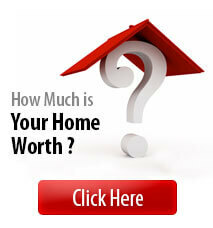 Don’t simply estimate this – carefully calculate every possible selling cost. If you are a first-time buyer, you’ll need to first qualify your income. Determine the size of your down payment, and then work out a monthly debt load so you can determine a comfortable price range. 2. Know the Difference Between Buyers’ and Sellers’ Agents. Here’s a good point to remember. The sales agent in the model home represents the builder, not you. They are known as sellers’ agents. As a buyer, you can work with a buyers’ agent at no additional cost. It is his or her business to best represent your needs by being knowledgeable about home construction, warranties, financing, and differences in pricing, quality and even lot selection so that you get the best value for your money. 3. Shop Around for a Builder that Meets Your Needs. Like all tradesmen, builders vary in their fields of expertise. For example, there are builders who specialize in craftsmanship, others who are known for their innovative use of space, and those who offer below-market financing or customer attention during construction and after move-in. Determine your own specific needs or preferences, then shop around for a builder that will best address your requirements. 4. Get the Facts About Your Builder. Before making a final decision, it is wise to check out the reputation and financial strength of the builder. Get “spec sheets” on home features covering everything from floor plans to energy efficiency, including lot availability and delivery. 5. Check Out the Neighborhood. Investigate if financial reserves have been set aside to build or replace major amenities such as schools or community roads. 6. Choose Options and Upgrades. The less expensive that base price of the house, the more options and upgrades you can add without fear of overpricing it for the neighborhood. Options are items the builder installs during construction such as adding usable space like a sun room or a powder room. These features can add the most to the resale value of your home. Upgrading means selecting quality materials above builder-standard, such as carpeting, ceramics, detailing, kitchen fixtures, and appliances. Be sure to take advantage of builder incentives that offer free upgrades or credit off the sale price. Remember, you can add a deck, finished basement, or landscaping later and sometimes for less money. Often buyers don’t realize that there may be room for negotiating price, upgrades, or options. For example you have some scope for negotiating with the builder if she or he has a completed home but hasn’t sold it. Also, some “premium lots” are priced higher and are sometimes saved to be sold last. 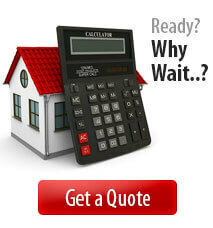 Keep in mind that usually all lots cost the builder the same, so be sure to inquire about lot pricing. Builders may offer discounts or special financing to help close a sale. 9. Determine What Financing is Best for You. Some builders, especially in high-volume communities that place large numbers of loans, can offer special financing packages. However, because home loan lending is highly competitive, you have many financing choices other than those being offered by the builder. Shop around for everything from rates to lender fees. Appraisal, Inspection, Survey, attorney and closing fees can vary as well. 10. Just Because it’s New Doesn’t Mean it’s Perfect. Yes, it’s new and usually it’s built with modern materials that are durable, low maintenance, stronger, quieter and safer. But because nothing is perfect, even if it’s new, consider hiring a reputable, licensed home inspector. Then create a builder “punch list” from what you’ve learned to address any problems before closing. Consider budgeting for items to be modified or added later on. Many new home buyers use a real estate agent to help them negotiate the best price and terms with the builder. 11. Buyer Advantages Your Builder May not Reveal. Builders include construction homes for immediate delivery for buyers who are relocating or who have sold their homes may be more desirable because sometimes builder offer financing incentives or free options. This may be done in place of chopping prices to appeal to buyers purchasing later in the building phase. An immediate delivery home is an advantageous way to purchase a home if you need to move quickly or need a physical space to walk through and see before you sign a contract. Be sure to inquire. There are often special programs designed for new construction home buyers. For example, our Move Up Savings Program will provide huge savings when you buy new construction. Contact us to see if you can take advantage of this fantastic program. Contact Us About New Construction Options Today!